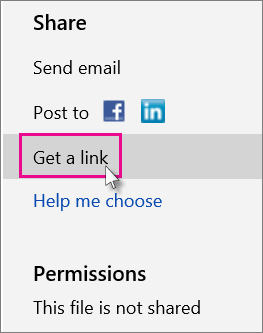 Using OneDrive, you can make your presentation public, so someone who’s searching the web or who clicks a link can open it in their browser. 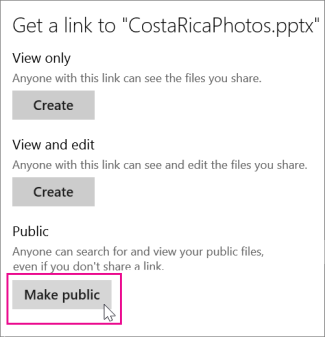 In PowerPoint Online, click . You can also post a presentation to Facebook, Twitter, or other social network. If you’re posting to a tweet, or if the URL just seems too long, click Shorten. 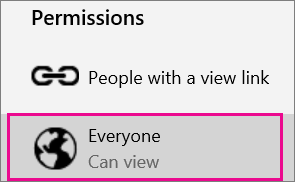 You can make it so the presentation is not public anymore by clicking Everyone Can view under Permissions, and then clicking Remove Permissions.